Summary: When working depth of field, it is almost a requirement to use a depth of field calculator. 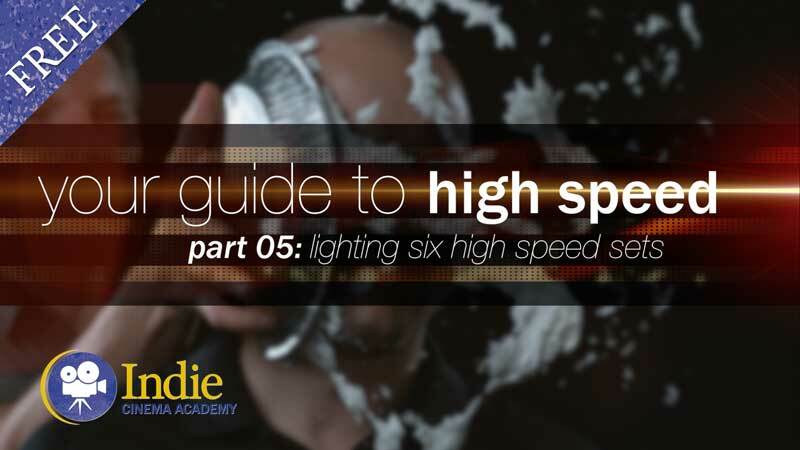 This allows a cinematographer to not only better plan shots, but empowers him or her to actually move the depth of field around to exactly where the project needs it to fall. 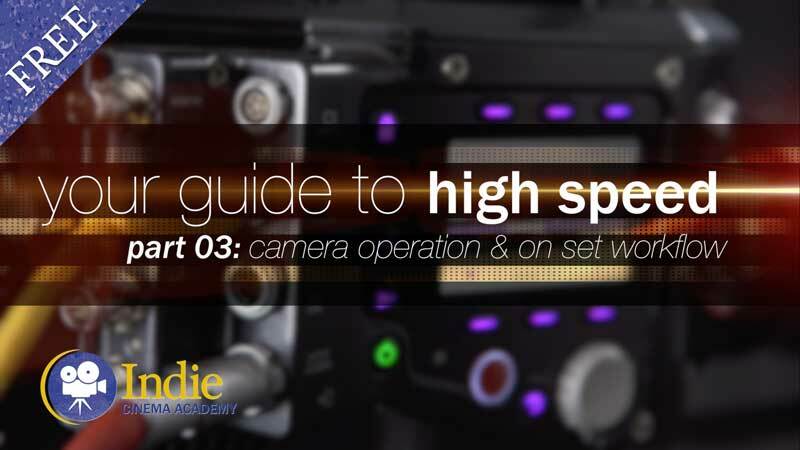 In this lesson we go through the steps of using a depth of field calculator, as well as a list of advanced tips and tricks to push it around your set. 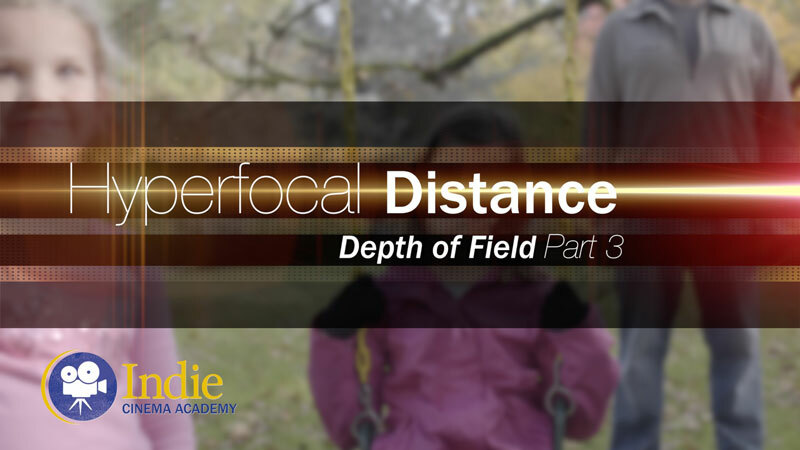 Now that we have the basics of DOF from our previous lessons, let me show you some ways you can push your DOF around so you have better control of it. In order to do this, let me first teach you how to use a very handy piece of technology known as the DOF Calculator. 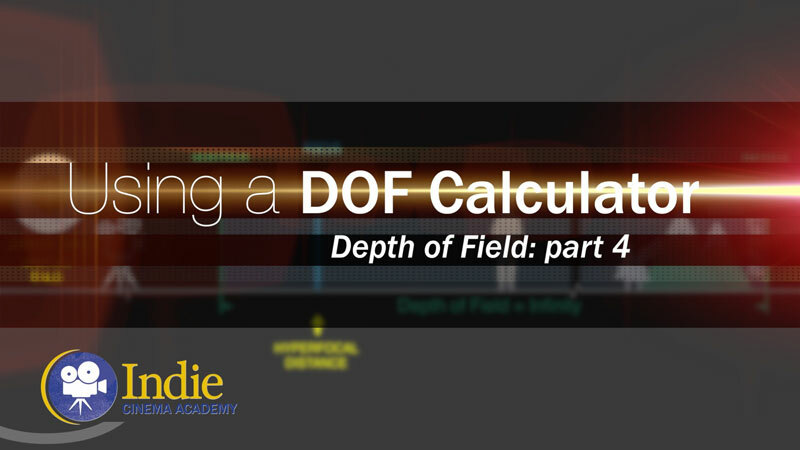 There are several DOF calculators on the market — both as online and as smartphone apps — and most do about the same job. 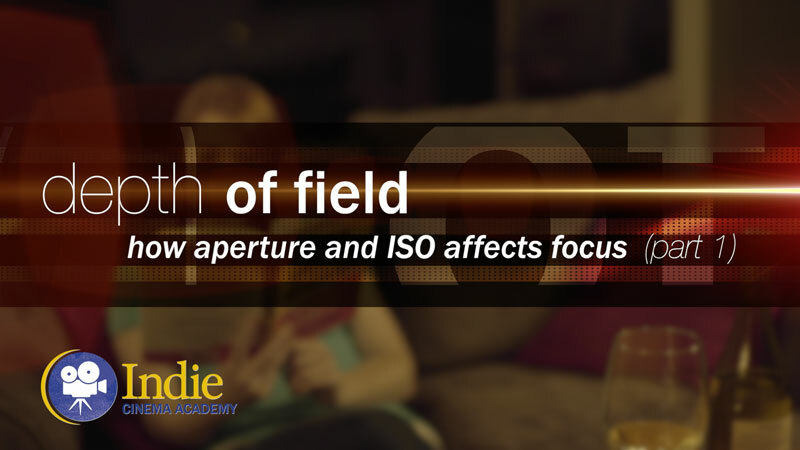 They do the heavy lifting of calculating your DOF range and hyperfocal distance based on your shooting conditions: sensor size, focal length, f-stop and subject distance. 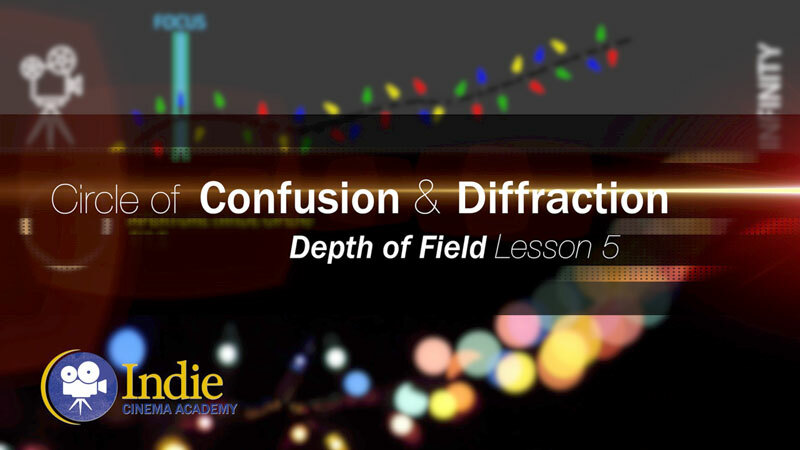 DOF calculators are a must have tool, both on-set and when planning your shots. 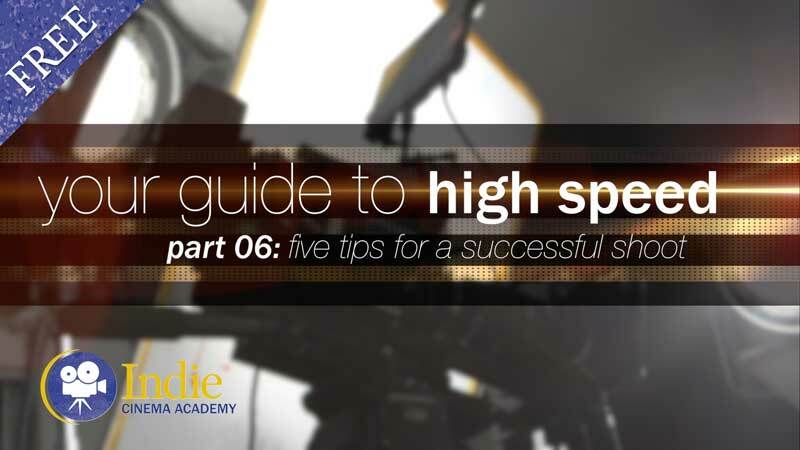 Let’s go through the steps of inputting your camera settings. There are some preliminary considerations before beginning. 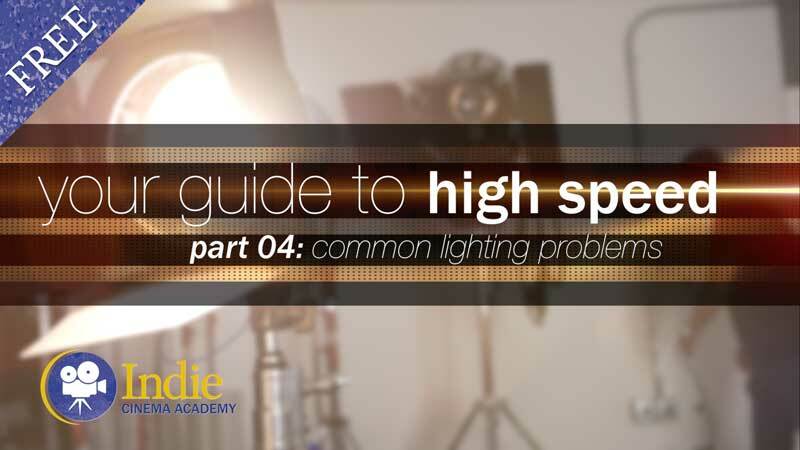 The first step is determining your camera’s specific sensor size, such as if it’s a cropped or Micro 4/3 sensor or a full 35mm sensor. Most apps make this easy by letting you just pick the camera model. With this app, I am able to specifically choose which camera we’re using. 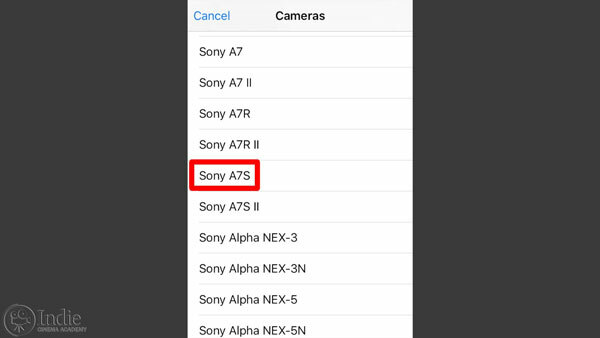 We shot this DOF series on a Sony A7S, so I’m going to input that into my app. Once that is set, I can begin. I know I want to use my 50mm lens, so I set the focal length to 50. Next, I know my, aperture will be f/16, so I set the f-stop accordingly. Now I can frame up my subject. By running a tape measure from my camera’s focal plane marker to the subject, I see that my subject is exactly 12 feet away. With this calculation, I have a DOF range of 31’ 6”. That means that there is range of 31’ 6” that my subject can move around in and remain in focus, along with the objects surrounding my subject. Something to notice is that the calculator shows this range is not split 50/50, meaning this range is not 15’ 9” in front and 15’ 9” behind the subject. Rather, that we have 4’ 11” in front of the subject and 26’ 7” beyond the subject that will be in focus. That means it is more of a 16/84 split, with most of the DOF behind our subject. nice Lesson. Does the use of lens mount adaptors ( like an E-mount to EF mount ) change the data output of the DOF calculations ? Lens adapters do not affect the output of the DOF calculators. 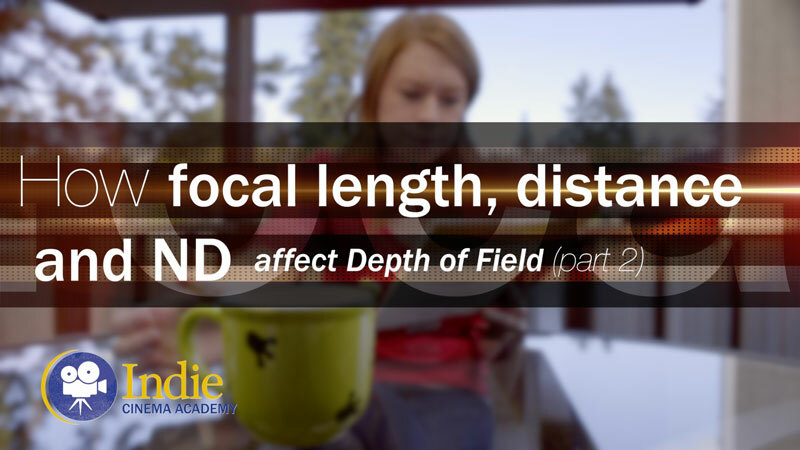 This is because the distance from the lens mount to the film/sensor plane aren’t part of the DOF equation. 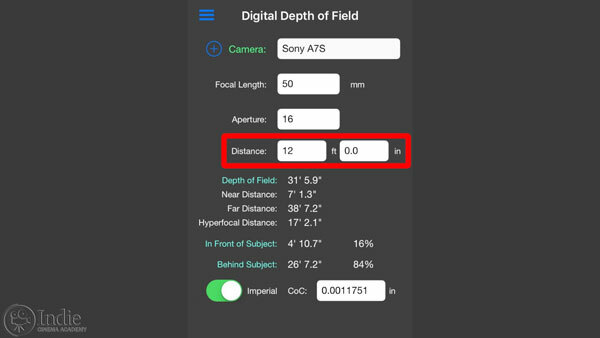 HOWEVER, if your lens adapter has any additional lens elements in it, such as with Metabones Speed Booster, then that DOES change the focal length you need to enter in the DOF calculator. For example, if you have a speed booster that is a 0.71x adapter, then your 50mm lens becomes a 35.5mm lens. 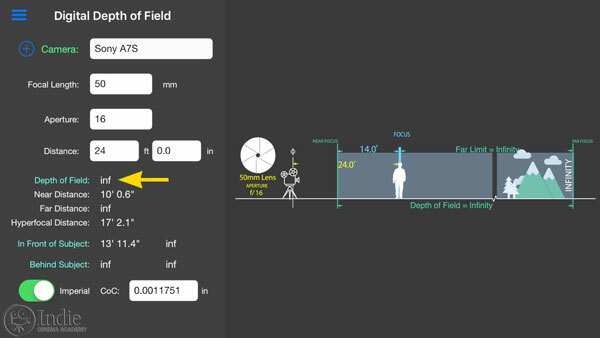 Something to note is that crop factor DOES NOT affect DOF calculations, since crop factor only affects field of view (FOV). However, since the framing of your subject will change as your FOV changes, you will then move closer/farther from your subject. This change in distance WILL affect your calculations.